. . .And there, too, is the home of Night. Night and Day meet each other at that place, as they pass a threshold of bronze. They draw near and they greet one another, but the house never holds them both together, for while one is about to go down into the house, the other is leaving through the door. One holds Light in her hand and the other holds in her arms Sleep. âThere the children of dark Night have their dwellingsâSleep, and Death, his brother. The sun never shines upon these two. Sleep may roam over the wide earth, and come upon the sea, and he is kindly to men. But Death is not kindly, and whoever he seizes upon, him he holds fast. This is the first "real" book of myths I read as a child. 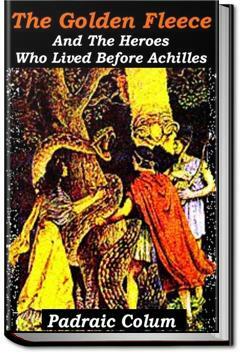 It is a great introductory version of many of the classic Greek stories for kids. For adults, there are many, many better books out there. Once upon a time there were two brothers. One was a family guy and the other was a douche-bag who wanted to kill his nephew. Lots of good stories. Sometimes it uses name variants that are less familiar. Narrator OK, but not great - very dry. Ever heard of Jason and the Argonauts? No? WHY. Basically, they were what people used to fangirl about centuries ago, instead of Kaz Brekker and the Dregs. I really enjoy Mythology of all types, but I do have a certain weakness for Greek mythology, I’m not sure what it was that originally attracted me to it as a child but the Minotaur, the Labyrinth, Zeus and his lightning bolts, all that was absolutely fascinating to me. I actually started this a loooong time ago (easily 5 years) but found it a bit boring so I discontinued reading. I picked it up again after recently completing Edith Hamilton's compilation of myths - that helped a lot.